The summer can be one of the best seasons for traveling with your RV or camper. The weather is nice, the days are longer, and tourist attractions are plentiful. Whether you’re on the road with your family or heading out to see grandchildren, it’s a great time to travel. It can also be an incredibly hot time to travel. Many popular travel destinations are in the south and southwest of the United States, where temperatures can soar. You want to be comfortable during your trip, and you probably won’t be able to do that without air conditioning. 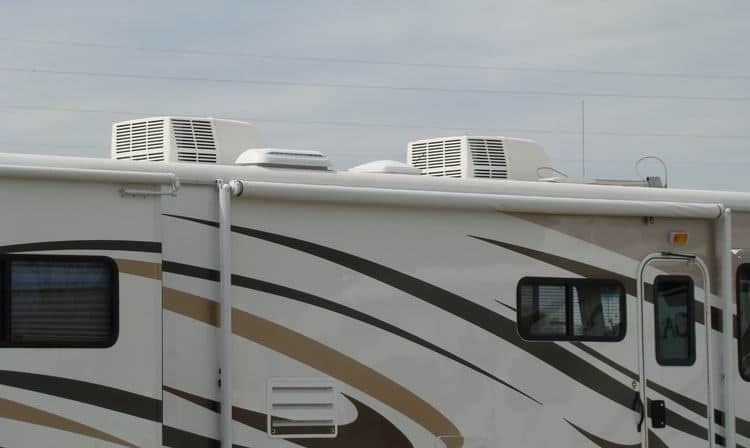 Many RVs and campers come equipped with an air conditioner. Depending on the size of your vehicle, where you’re traveling, and how many you’re traveling with, you might need an additional unit for true comfort. If you’ve been considering adding another air conditioner to your RV or camper, here are some tips for getting through the process. Everyone wants to get good value for the money they spend. Just know there are some things you won’t want to compromise on to get a better price. A more expensive air conditioning unit is going to accomplish a few things. First, it will likely cool a larger area more efficiently. It will also probably be more energy efficient. If you’re wondering if that will really matter, I’m here to tell you it will. Air conditioners use a tremendous amount of energy. That energy will cost you money. At the end of the season, you may find the cost to run your cheap air conditioner was more than the combined purchase price and cost to run the more expensive unit. You can still find a great price on a quality air conditioner. Just don’t expect the cheapest unit in the store to accomplish the same thing an expensive one can. 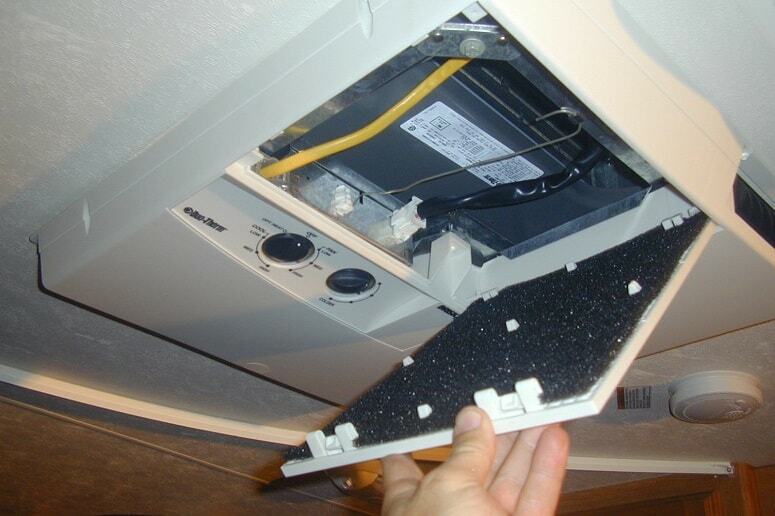 Know that adding a second air conditioner to your RV will be a financial investment. But think of the money you’ll save on the alternative — hotel rooms when it’s just too hot to stay in your RV. 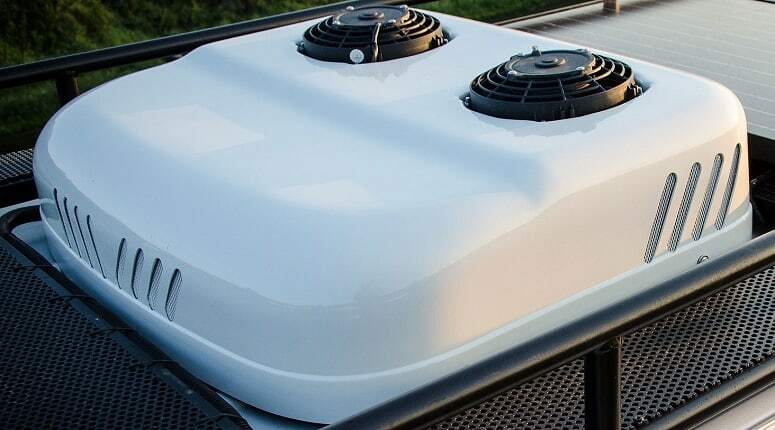 If you’ve been reading about the latest and greatest air conditioning options for your RV or camper, you may have a specific idea about the system you want to install. Always be sure that your first unit is working flawlessly. Price will likely become a factor for you, but most importantly, the vehicle you’re starting with will shape the kind of system you go with. Air conditioners come in two basic types—ducted and ductless. A ducted system is an integrated system where air travels through ductwork and evenly cools your space. Ducted air conditioners are perfect for cooling a space. If you don’t have ducts in your camper or RV, though, retrofitting for a ducted system is probably not in the scope of your budget—nor is it very practical. Ductless air conditioner units are standalone cooling systems. They’re installed in one area and that is where the cool air is created. It will move through the room from its place of origin, like a traditional window unit. A ductless air conditioner system is still a great option for creating a cooler living space. You will just want to keep a few things in mind as you choose your install location. It will always be coldest where the unit is located. For best results, try to install far enough away from sleeping or sitting areas that everyone in the RV will be comfortable while the unit is in use. While considering where you want to put your second air conditioning unit, there are a few things to remember. You do not want to install your new unit in the kitchen or bathroom. Putting an air conditioner in these locations usually means sacrificing a circulation vent. As humidity and condensation peak in the kitchen and bathroom, losing airflow isn’t an option. As a general rule, you’ll want to install your air conditioner in an open space. Installing it in a small room like the bathroom will serve to make that little space very cool, while not necessarily traveling to other areas. You’ll also want to install your air conditioner in the most frequently used area. Having a second air conditioner in your vehicle won’t do you much good if you’re never near it to enjoy. One more word of warning when choosing the location for your second air conditioner. If your first air conditioner is located on the roof of your vehicle, you will want to look for a different location to install the second unit. 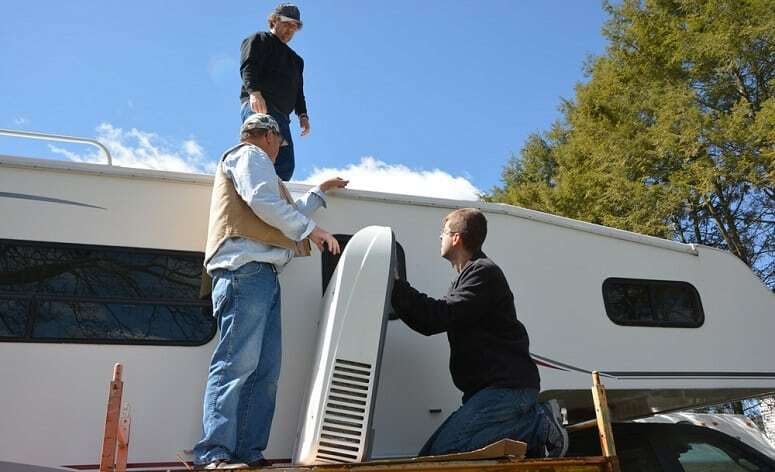 Most RVs will not be able to accommodate the weight for the wiring necessary for two air conditioner units on the roof. If you’re an experienced RV or camper user, then you know how important it is to keep your vehicles balanced. Much of this is accomplished through how you pack. While adding a second air conditioner will be great for your comfort level, it’s also going to add a pretty significant amount of weight to your vehicle. You can expect your air conditioner to weigh at least 40 pounds. You may even end up with a unit that weighs as much as 120 pounds. This is quite a bit of additional weight if you don’t balance it properly. Leaving your RV dramatically off balance can cause a host of problems, which may include excessive sway, poor gas consumption, and strain on the structure. 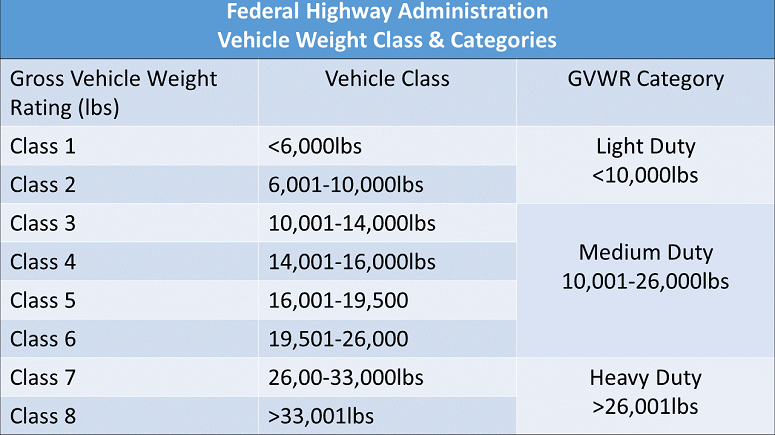 Do yourself a favor and weigh your RV or trailer when it’s packed as you plan to travel with it. Cross check with your gross vehicle weight range to make sure you’re sitting at an appropriate weight. If not, make the changes needed to leave you with a safe weight. Endeavor to compensate the added weight gain evenly on the opposite side of the trailer. If possible, adding weight over the axles can help keep your vehicle more evenly balanced. You know your air conditioner is going to be drawing power. If that energy is coming from your battery, beware. If you use your air conditioner constantly and don’t allow the battery to recharge, you may drain your battery. In the worst case scenario, you may not be able to save your battery after this happens. If you regularly use draining appliances—hair dryers, refrigerators, air conditioners and the like— you may want to consider upgrading your battery. A larger battery will be able to handle the energy load of these appliances more easily. Don’t wait until your battery is exceptionally low before recharging it. Once you have consumed half the battery, it’s time to put it on charge. Knowing you’re subjecting your battery to higher demands, you should be prepared to replace it on a more frequent basis. Save yourself from vacation nightmares by traveling with a spare. If you’re prepared, it won’t be such a big deal if it happens. Preparing your battery for the additional power consumption is a great start. There will be times when you’ll want to rely on shore power instead, though. Adding your new air conditioner may mean you need to switch your amp plug out for something higher. Moving from a 30 amp plug to a 50 amp plug will suit the needs of two air conditioners better. Some places may cap their shore power. If that’s the case, and you know you’re going to extend the usage needs of the cap, you may want to consider traveling with a generator. A generator will help support your air conditioning needs, while providing you with an alternative to continual battery usage. A generator can be used exclusively to run your air conditioners as well. While this is an option, generators do come with their own drawbacks. The biggest one—and one likely to be noticed by both you and fellow park-mates—is the noise the generator makes. However, mounting a generator on your trailer bumper can silence that noise a bit. If you’re staying near other campers, you may want to consider turning off the generator during the night when it could interrupt sleep. Of course, this means you’ll be going without air conditioning during this time, or you’ll need to switch your power source. Adding a second air conditioner creates dramatic energy needs. You can work around them, you should just be prepared to do so. Certainly, in a pinch, you can unplug high-draining appliances and turn off the air conditioner when you want to use other appliances. It’s not the easiest approach, but it will achieve your immediate needs. Having your new air conditioner professionally installed will add to the cost of the upgrade. You may want to go with a professional install despite the cost, however. Here’s why. If you’re installing a ductless system that requires any kind of exterior alteration (including fancy units that require a hole for installation) you want to go with someone who has experience. You’ll also want to have recourse should the install not go properly. Taking your RV or camper to a professional means they’ll be bonded, insured, and capable of fixing any errors they make. Your RV or camper has been an expensive investment for you. You won’t want to lose the time or money if you install incorrectly. Remember, you need to make sure your unit is securely fitted. You won’t want to lose it during a trip down the highway. You’ll also need to make sure any exterior cuts are completely weather-proofed. Installing an air conditioner, only to end up with a constant water leak, won’t help you much. Make sure to research your installer thoroughly. This is another time where spending a little more money could make the most sense. There may be additional components that go into your install. Especially if you’re putting in a high-tech cooling option. You may need to run additional wires for thermostats. If you don’t have experience doing this yourself, it’s wise to bring in a professional. 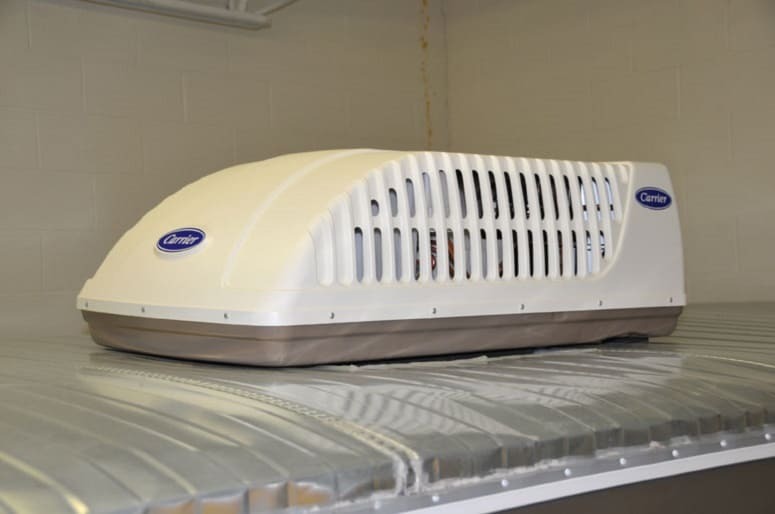 Have you been debating putting another air conditioner unit in your RV but haven’t been able to find a way to accommodate one? This may be likely if you’re working with an older unit. But there are some options you may not have considered. One of them is a portable air conditioner unit. Available at any home improvement store, a portable air conditioner doesn’t require a permanent installation. However, you’ll need to have access to power, and a way to duct the air to the outside. This is frequently accomplished through an open window. The downside to the portable air conditioner is, of course, the amount of space you’ll need to dedicate to it. They tend to be heavy, bulky and take up considerable space. You may need additional parameters when it’s in use. You’ll also need to secure it in place when you’re on the road. 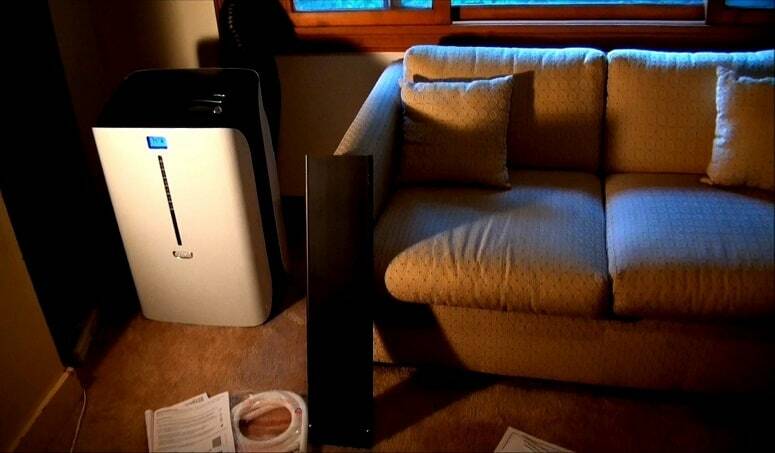 If all else has failed, though, a portable air conditioner can be a great option to keep your space cool when it seems like there’s no solution at all. 9. What Size Air Conditioner Do You Really Need? When it comes to shopping for air conditioners, you probably know it isn’t the size of the machine that matters—it’s the capacity for cooling that’s going to be important to you. How do you know how effective your air conditioner will be at cooling down your space? You’ll want to look at the BTUs—this is the British thermal unit that identifies the power behind the unit’s ability to cool. The greater the number of BTUs, the greater the ability to cool. Standard models frequently come equipped with a 13,500 BTU air conditioner. For many, that’s just not enough to keep a large RV or camper cool, especially when traveling to hot locations during the summer months. If you’re looking to add another air conditioner, consider one with at least 15,000 BTUs. You’ll find these can quickly create the kind of cool environment you want to be in. It’s easy to expect your air conditioner to do the work of cooling for you. There are some things you can do to lighten the load, though. First, opt for a light paint color, or at the very least, have your roof painted white to reflect the rays of the sun. Darker colors will draw and help trap the heat. That’s the last thing you want if you’re battling uncomfortable temperatures. Park under cover. This isn’t always possible, but if it is, and you aren’t relying on solar power, you’ll want to do your best to find some shade. This will protect your RV or camper from the sun and drop the interior temperature. You may still need to run your air conditioner, but it won’t have to work quite so hard to get the job done. If you’re truly looking to get the most out of your financial investment with a second air conditioner, consider installing a unit that’s capable of cooling and heating. If you’re a year-round traveler or someone who lives full time in their RV or camper, this option may be especially attractive. You know you’ll need heat during the cold months. You may as well make a single financial investment in a unit that can do both heating and cooling. It also saves valuable space. A dual-use unit with a heat pump can provide you with necessary cooling during the hot season and additional warmth during the cold months. This option is usually a hefty financial investment. But you may find it’s worth it if you use your RV or camper during both weather extremes. It’s easy to think once you’ve installed your air conditioner there’s nothing else to be done—simply turn it on and enjoy the cool. Like other appliances in your RV though, your new air conditioner will need regular maintenance and service to keep it functioning at its best. Know that this maintenance is critical to getting the most life out of your unit. Moving forward with a second air conditioner install is a big deal—don’t find yourself repeating it sooner than necessary because of upkeep issues. Keep your air conditioner clean, replace coolant fluids as needed, and replace parts when required. If you notice a dramatic difference in how your air conditioner is functioning, don’t wait to have it serviced. Have it looked at as soon as possible, to avoid unnecessary damage. A second air conditioner can make your RV and camper experience more enjoyable. If you’ve been dragging your feet about making the leap, this information will hopefully leave you feeling more confident with taking that next step. You deserve to be comfortable during your time on the road. Have we missed anything here that needs to be considered before installing a new air conditioner? We’d love to know about it—and we’re sure your experiences would help others as well. Please share your comments below, and share the article if you found it useful.